We’re in summer now and it’s time to forget books, teachers, notes and exams. The sea, the mountains or large avenues of great cities will replace them in students’ thoughts. However, sooner or later, an inopportune friend or relative will ask you this feared question: ¿Cuántas te han quedado? (How many subjects have you failed?). At that moment, all the bad memories come back to your mind. Today we’re going to learn some colloquial expression that young students use at school. 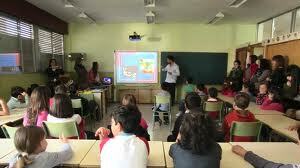 Let’s start with the different levels in Spanish education: la guardería or “la guarde” (the nursery school), el colegio or “el cole” (the primary school), el instituto or “el insti” (the high school) and finally la Universidad or “la uni” (the University). The verb “sacar”: it’s very used to express “la nota” (the mark) a student got in an exam. Ej: He sacado un 8 (I got 8 points); ¿qué has sacado en el examen? (what did you get in the exam?). The verb “quedar”: it’s not a nice word for a student. It means “to fail” and it’s very colloquial. Another option could be “suspender”. Ej: Me han quedado 3 (I’ve failed 3 subjects). So, si no quieres que te quede la asignatura de español, (if you don’t want to fail Spanish language), you can learn Spanish via Skype. Try a free trial lesson now and book classes with a special discount until the 13th of July.